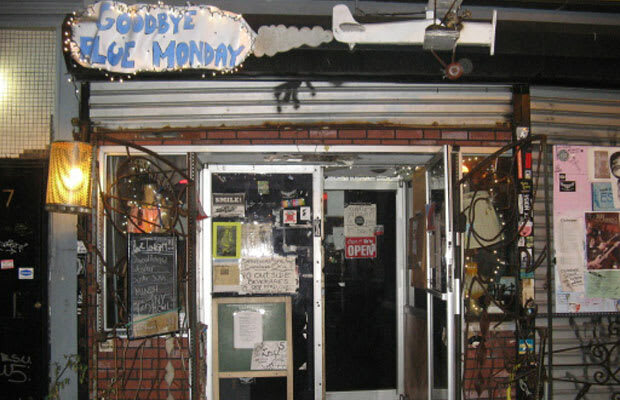 Part bar, part coffee shop, part cluttered attic where your crazy uncle hangs out, Goodbye Blue Monday is all dive. Maybe if all the houses in the world had continued to appreciate at a 10% clip, this place would've fallen victim to Williamsburg's encroachment onto Bushwick a territory a couple years ago, but they didn't and it hasn't and this stretch of Broadway under the JMZ subway lines is all the better for it. They serve food (pretty insolently), and bands play (pretty terribly), but you can smoke in the junk heap of a backyard, so keep your complaints to yourself.